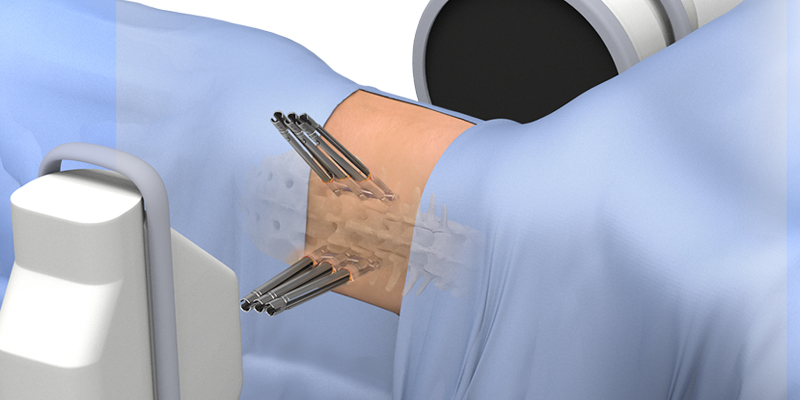 X360™ is a comprehensive approach to lateral single-position surgery that leverages advanced techniques and technologies to deliver patient specific-care while enhancing OR workflow and efficiency. 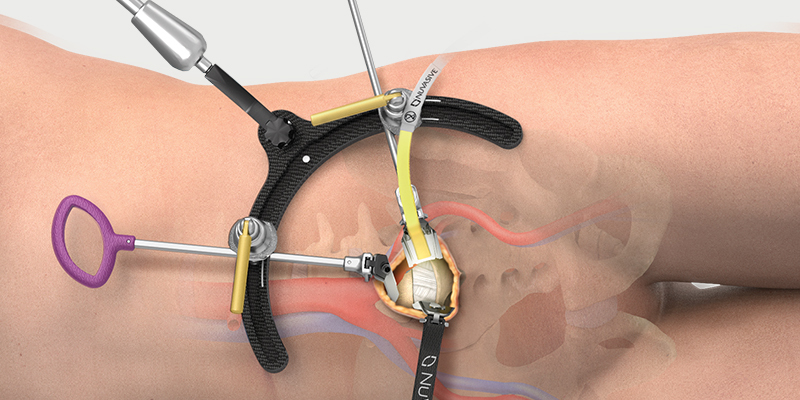 The X360 System, powered by Surgical Intelligence™, includes XLIF®, XALIF™, and XFixation™. 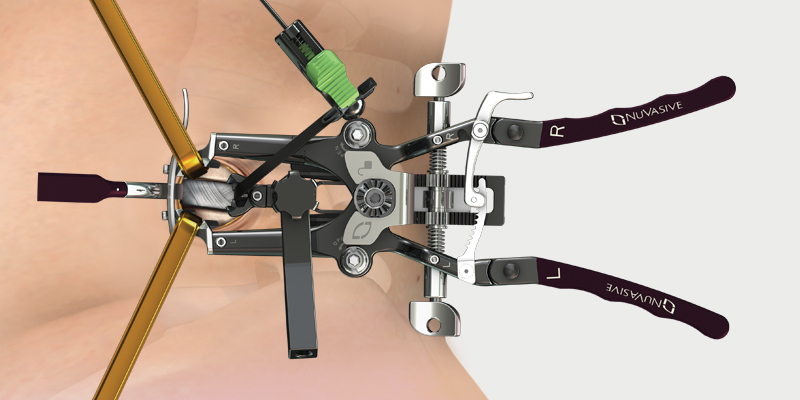 The integration of these procedures into a single system allows for significant time savings through the use of modern, less invasive techniques performed with the patient in lateral throughout the entire surgery. XALIF has all the characteristics of a traditional supine ALIF and is specifically designed to access L5-S1, but performed with the patient in the lateral decubitus position. The versatile retractor system enables access for multiple ALIF approaches and bridges the gap between traditional supine ALIF and the XLIF procedure. XFixation is an adapted posterior fixation technique with the patient kept in the lateral position. This allows single-position surgery to be achieved from the upper thoracic spine to the sacrum when combined with XLIF and/or XALIF procedural solutions. The Surgical Intelligence ecosystem of technologies is an integral part of the X360 workflow. Pulse brings Surgical Intelligence to life in the operating room by integrating all of the required technologies for spine surgery into a single platform. 1. Drazin D, Kim TT, Johnson JP. Simultaneous lateral interbody fusion and posterior percutaneous instrumentation: early experience and technical considerations. Biomed Res Int 2015:Article ID 458284. 2. Macario A. What does one minute of operating room time cost? J Clin Anesth 2010;22(4):233-6. 3. Shippert RD. A study of time-dependent operating room fees and how to save $100,000 by using time-saving products. Am J Cosmet Surg2005;22(1):25-34. 4. Olsen MA, Mayfield J, Lauryssen C, et al. Risk factors for surgical site infection in spinal surgery. J Neurosurg 2003;98(2):149-55.24. 5. Olsen MA, Nepple JJ, Riew KD, et al. Risk factors for surgical site infection following orthopaedic spinal operations. J Bone Joint Surg Am 2008;90(1):62-9. 6. Lehmen JA, Gerber EJ. MIS lateral spine surgery: A systematic literature review of complications, outcomes, and economics. Eur Spine J 2015;24(3):287-313.